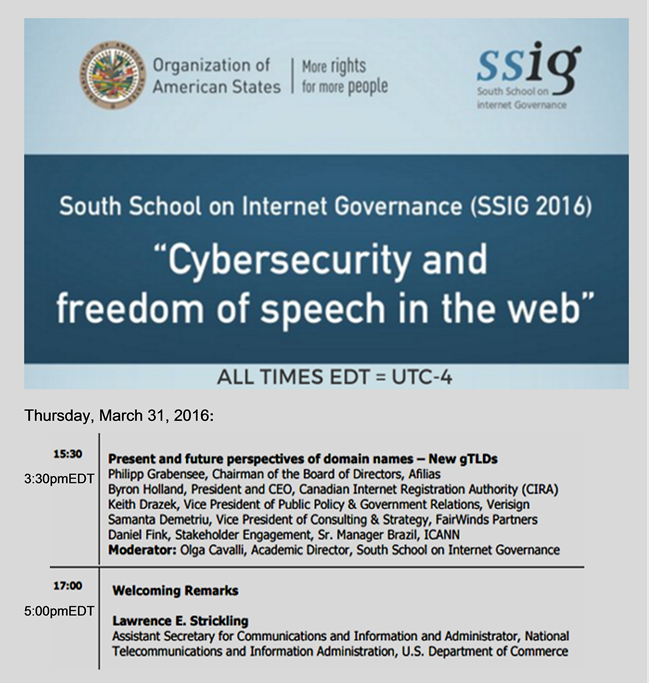 The Eighth South School on Internet Governance (SSIG) held at the Organization of American States (OAS) Headquarters in Washington, D.C.
Ben Horowitz, Andreessen Horowitz (a16z.com) co-founder, discusses the death of former Intel (intel.com) CEO Andy Grove with Bloomberg's Emily Chang on "Bloomberg Markets." (Bloomberg LP, the parent company of Bloomberg Television, is an investor in Andreessen Horowitz. Published March 22, 2016). A. S. Grove (1967). Physics and Technology of Semiconductor Devices. Wiley. ISBN 0-471-32998-3. A. S. Grove (1988). One on One With Andy Grove. Penguin Putnam. ISBN 0-14-010935-8. A. S. Grove (1996). Only the Paranoid Survive. Doubleday. ISBN 0-385-48258-2. A. S. Grove (2001). Swimming Across: A Memoir. ISBN 0-446-67970-4. Robert Burgelman and A. S. Grove (2001). Strategy Is Destiny: How Strategy-Making Shapes a Company's Future. ISBN 0-684-85554-2. Robert A. Burgelman, Andrew S. Grove and Philip E. Meza (2005). Strategic Dynamics: Concepts and Cases. McGraw-Hill/Irwin. ISBN 0-07-312265-3. A fundamental rule in technology says that whatever can be done will be done. Your career is your business, and you are its CEO. And try not to get too depressed in the part of the journey, because there’s a professional responsibility. If you are depressed, you can’t motivate your staff to extraordinary measures. So you have to keep your own spirits up even though you well understand that you don’t know what you’re doing. Is Cuba open to foreign investment? Video above: FT.com’s John-Paul Rathbone looks at the hurdles investors are likely to face as Cuba aims to increase foreign direct investment. FT World published March 21, 2016. Starwood (NYSE:HOT)--domain: starwoodhotels.com--has signed an agreement with the Cuban government to refurbish and run three hotels, the first return of U.S. hotel chains to the Caribbean nation in half a century, while Marriott (NASDAQ:MAR)--domain: marriott.com--has received permission from the U.S. Treasury Department to operate hotels in Cuba. (Source: Seeking Alpha). See also: Capitalizing On Socialism -- Obama, Cuba, And A Cubano Pair Trade - Chris DeMuth Jr. | Seeking Alpha. My City: Havana - Video above published March 19, 2016, ahead of the U.S. President’s historic visit to Cuba. FT.com's John Paul Rathbone retraces his mother’s life in Cuba and gauges how the country is changing. He met a new class of entrepreneurs and talked to a journalist about life in a police state. Obama: "If a JV team puts on Lakers uniforms, that doesn’t make them Kobe Bryant. I think there is a distinction between the capacity and reach of a bin Laden and a network that is actively planning major terrorist plots against the homeland versus jihadists who are engaged in various local power struggles and disputes, often sectarian." Remnick: "But that JV team [ISIS] just took over Fallujah." Obama: "I understand. But when you say took over Fallujah –" Remnick: "And I don’t know for how long." Obama: "But let’s just keep in mind, Fallujah is a profoundly conservative Sunni city in a country that, independent of anything we do, is deeply divided along sectarian lines. And how we think about terrorism has to be defined and specific enough that it doesn’t lead us to think that any horrible actions that take place around the world that are motivated in part by an extremist Islamic ideology is a direct threat to us or something that we have to wade into." (source: Politifact.com, emphasis added). April 6, 2015: #OpISIS Anonymous publishes a list of 70 pro ISIS websites | Security Affairs "The companies managing the websites are accused of supporting ISIS and its activities. The list contains the names of 70 websites and the name of their hosting provider, among them there is also the popular service ... that provides a content delivery network and distributed domain name server system used to protect customers’ web services ..."
December 14, 2015: Hackers trace ISIS Twitter accounts back to internet addresses linked to Department of Work and Pensions - Mirror Online "We learned that the British government sold a large number of IP addresses to two Saudi Arabian firms. After the sale completed in October of this year, they were used by extremists to spread their message of hate." February 29, 2016: U.S. Cyber Command Ramps Up Offensive Against ISIS | Haaretz.com "Defense Secretary Ash Carter prodded his cyber commanders to be more aggressive in the fight against Islamic State ... They declined to discuss details, other than to say that the attacks include efforts to prevent the group from distributing propaganda, videos or other types of recruiting and messaging on social media sites such as Twitter, and across the Internet in general ..."
Former CIA Director Mike Morell: ISIS Has A Large Network In Europe - Mike Morell: “I think there's sort of a macro picture here and a micro picture. The macro picture here is that the network that ISIS has built in Europe is large and its sophisticated. As a result of the Paris investigation we've learned that they've got bomb makers. We've learned that they've got forgers. We've learned that they're able to move money on very sophisticated network. So I think after Paris we've done very, very little to degrade that network so that's part of the story of what happened today. The other part of the story, the micro part of the story about what happened today is, I think, it's a reflection of the arrest of the logistics chief Salah Abdeslam last Friday. We know that he was involved in additional attack plotting. I think when he was arrested the individuals that he was working with decided to move quickly in case he talked to the police. I think what happened today is a reflection of that as well. We’re still not degrading ISIS enough to degrade their ability to attack us in the West. So this is a big win for them.” Published March 22, 2016. Steve Jobs to Meredith Perry to Elon Musk--original thinkers, entrepreneurs--"do a lot of different things to move the world to their visions. And many of those things (and traits) are counterintuitive, such as … Embracing procrastination. But there’s a catch: It’s about being the just-right amount of procrastinator, expert, or confident. There’s a curvilinear relationship between too much and too little. There’s also some surprising findings about why NOT to “start with the why” but with the how. Because sometimes the how is much more believable than the why. Especially when it comes to getting people to engineer things from ubeam to SpaceX. Or to really being able to tell the difference between communication vs. confidence vs. competence. "Ultimately, it’s all about being flexible, argues top Wharton management professor and New York Times columnist Adam Grant in his new book Originals. So how do we strike the just-right balance — whether making an entrepreneur or just trying to raise more creative, productive kids? Is the answer perhaps to immerse them in sci-fi books and video games? Well, J.K. Rowling could be the most influential “original” alive, argues Grant in this podcast… but not for the reasons you think." Andreessen Horowitz (domain: a16z.com) is a Silicon Valley based venture capital firm. Founders: Marc Andreessen and Ben Horowitz. Silicon.fr: "France calls on the US government, which must now examine this reform project, to give greater attention to the concerns expressed by many nations. It will also be particularly attentive to the continuing work to improve the accountability of ICANN as part of the "Work Stream 2", particularly on strengthening the geographical diversity and the fight against conflicts of interest." LesEchos.fr: For France, Internet governance is in the hands of GAFA* "... the Foreign Ministry is very disappointed with the turn of events. According to France, it is like giving control of the Internet to private actors ... Paris denounces the roles taken by lobbyists in the process in recent months and regrets that the role of governments is still reduced within ICANN ... the GAC (Governmental Advisory Committee) will have to vote unanimously. A complicated imperative to keep ... "The Americans gave with one hand, and took back with the other" concludes one in Paris ... Other problematic issues, starting with the diversity of ICANN as too Anglo-Saxon [that's a pejorative in France for American-British or English-speaking], its lack of transparency and difficult litigation procedures, lengthy, costly and favoring U.S. companies - ICANN is a California corporation and will remain so..."
*Note: The term "GAFA" (Google, Apple, Facebook, Amazon) is also used loosely for what some call American cultural imperialism, particularly in the context of the U.S. government advancing the interests of Silicon Valley, i.e., U.S. technology companies--see, e.g., They Made Him a Moron | The Baffler, about Alec Ross, innovation adviser to (then) Secretary of State Hillary Clinton--"... This book by the State Department’s former innovation adviser merely attests to the intellectual bankruptcy of the term “innovation,” which in the hands of people like Ross has ceased to have any substantive meaning ... I soon became a critic of the U.S. government’s “Internet freedom agenda,” while Ross and his colleague and friend Jared Cohen (then on the policy planning staff of the State Department and now the head of Google Ideas) embarked on adventures so reckless and ridiculous, so obsequious to the interests of Silicon Valley and offensive to anyone well-versed in the diplomatic trade, that some career staffers at the State Department began to ridicule, anonymously, of course, their cluelessness on social media ..."
On Wednesday, March 23, the U.S. government published its award of a contract between the U.S. Department of Commerce's National Institute of Standards and Technology (NIST) and the Berkman Center for Internet & Society | Harvard University to provide an independent review and assessment of ICANN "a non-profit corporate governance structure designed for a multistakeholder setting" in support of NTIA's broader evaluation and assessment of the proposal to enhance ICANN's accountability related to the IANA Stewardship Transition .... "This contract requires the contractor to have detailed knowledge and a thorough understanding of ICANN, a California-based, non-profit corporation that currently performs the IANA functions and manages these technical functions through a governance model in which a multistakeholder community--interested parties from all over the world and from multiple sectors and industries, including technical, government, business, and public-interest organizations--develop policies that support how the Internet DNS is operated ..." According to the notice, Congress mandated this review, which is to be completed by June 30, 2016, although the award is 'anticipated' to last for five months. Berkman Center for Internet & Society | Harvard University also conducted the 2010 Independent Review of ICANN Accountability and Transparency, finding many problems within ICANN, and made recommendations, some of which were never implemented by ICANN. Meanwhile, implementation work required by the IANA Transition & ICANN Accountability (WS1) Proposal proceeds at ICANN and within its "ICANN community." ICANN also posted on Friday, March 25, a Call for Volunteers: Cross Community Working Group on Enhancing ICANN Accountability (CCWG-Accountability) Implementation and Work Stream 2 (WS2). For more information see Call for Volunteers: New GNSO Policy Development Process Working Group to Review All Rights Protection Mechanisms in All gTLDs - ICANN (March 21, 2016), the Charter (pdf), the List of Members & Observers - Review of RPMs in all gTLDs PDP Working Group, and Review of all Rights Protection Mechanisms (RPMs) in all gTLDs PDP Working Group webpage. (tie) New gTLD AFRICA: DotConnectAfrica Trust vs ICANN, End of the Line? (to be updated after the April 4th hearing in LA); and Mobile Connectivity Explosion, Internet of Things, Cybersecurity, IoT (video).
" ... Stash helps people start investing with as little as $5, gain investing confidence gradually, and build smart financial habits for the long-term. With Stash, you can choose investments from over 30 Exchange Traded Funds (ETFs) or stocks based on your interests, beliefs and goals, and you can purchase fractional shares to start investing gradually. Investments are described in ways that make them easy to understand, such as “Internet Titans,” (online tech giants), and “Clean and Green” (renewable energy companies). Stash doesn’t charge commissions for buying or selling investments and has a transparent monthly subscription fee of $1 per month for accounts under $5,000, with the first three months free; and 0.25 percent a year for balances over $5,000. Some of the most popular investment themes Stashers have chosen include Roll with Buffett (NASDAQ: BRK.B), which allows you to invest in Berkshire Hathaway; Delicious Dividends (NASDAQ: SCHD), which invests in companies with a 10-year history of paying dividends ..." Source: Press Release. Goldman Sachs President: We're Seeing a 'Massive Revaluation' in Tech - Gary Cohn, Goldman Sachs President and Chief Operating Officer, discusses the state of the IPO market with Bloomberg's Emily Chang on "Bloomberg Markets" (Feb 9, 2016). "Later this week, the co-Chairs will be sending a note to the Chartering Organizations (COs) to explain our plan for completing the CCWG’s remaining WS1 projects and that we assume that CO members will remain in place unless we are advised otherwise. This will be a follow-up to the communication sent on 6 March 2016. "You will also see a call for WS2 volunteers on the ICANN website in the next few days. In accordance with ICANN’s general outreach practices, the announcement will go out to all users subscribed to ICANN news alerts, and shared amongst their regional stakeholder engagement teams, mailing lists and social media platforms. "We ask that you also share this call for volunteers widely to ensure that all interested parties, including those outside of the ICANN ecosystem, are aware that they are welcome to participate in projects of WS2. It is important for our group to continue to strive for maximized diversity of our participants going forward. The immediate focus of our efforts is drafting the necessary Bylaws based on our WS1 recommendations. As discussed during our meeting on 10 March at ICANN55 in Marrakech, there is a critical path for the Bylaws drafting. Along with the CWG-Stewardship co-Chairs, we have instructed our legal teams to work with ICANN to draft the Bylaws. The legal teams will meet in Los Angeles on Wednesday, Thursday, and Friday of this week to work through and refine language for the draft Bylaws. Our CCWG Rapporteur, Becky Burr, will attend the meeting as an observer and will send through written updates to the CCWG mailing list. Chris Disspain will also attend as an observer from the ICANN Board, and Bernard Turcotte will observe in his support role to the CCWG-Accountability. "It is expected that the lawyers will come to an agreement by the end of this meeting and that a final draft of the proposed revisions to the Bylaws would be available for CCWG review by Friday 2 April 2016 at the latest. ICANN must publish the Bylaws for a 30-day public comment period beginning on 20 April. This timeline would allow the Board to approve the changes to the Bylaws on 27 May. This means that the CCWG will be required to complete its review of the draft Bylaws by Wednesday, 13 April. "As agreed upon in Marrakech, our objective is to provide the CCWG with as much time as possible to review these draft Bylaws to confirm that the proposals are adequately reflected, with the minimum time being 7 full calendar days. "To facilitate the CCWG’s review, we will be organizing two meetings on: 5 April from 19:00-21:00 UTC, and 7 April from 12:00-14:00 UTC, where the legal teams can answer any questions we have with respect to the draft Bylaws. Prior to submission to the CCWG, the external counsel to the CCWG will be asked to confirm that the Bylaws are an appropriate reflection of the CCWG’s proposal. "We do not anticipate any plenary CCWG calls before the Bylaw review calls on 5 and 7 April. The IRP subgroup may have a meeting next week to discuss the IRP section of the Bylaws, but we leave this decision to Becky who is leading the effort on developing further IRP implementation guidance. Once the Bylaws work is complete, we will turn our focus to our inventory of WS2 items. However, this does not prevent anyone in the group from launching into discussions on the mailing list and self-organizing around the topics. "Regarding mailing lists, we have decided to keep the conversation on the main CCWG list until there is enough interest and discussion to launch a separate sub-group list. This way, we can manage the prioritization and sequencing of our work based on the group’s interest. To help us make a determination on when to launch a separate mailing list, it would be useful for the discussion on the main CCWG mailing list to be around scope, initial research, work plan, etc. It should be noted that the Human Rights effort already has a mailing list (former “WP4” group), and anyone interested in joining that mailing list may contact acct-staff. Note: CCWG-Accountability meetings schedule here which are online via Adobe Connect (open to silent "observers") icann.adobeconnect.com/accountability/. The mobile connectivity explosion | FT Business - From connected cows to intelligent cars, talk at the Mobile World Congress in Barcelona has turned from phone calls and text messages to the internet of things, IoT. The FT’s Daniel Garrahan weighs up the benefits and risks of everything being connected. Originally published Feb 23, 2016 by FT.com. New gTLD AFRICA: DotConnectAfrica Trust vs ICANN, End of the Line? UPDATE April 13, 2016: The U.S. District Court grants DotConnectAfrica Trust's Motion for Preliminary Injunction--see Will ICANN File An Interlocutory Appeal in DCA Trust gTLD AFRICA Case?. "Whereas, on 17 February 2016, an Extended Evaluation report was posted and indicated that the resumed evaluation of DCA's application for .AFRICA had concluded, and that DCA had failed to submit information and documentation sufficient to meet the criteria described in AGB [Applicant Guide Book] Section 2.2.1.4.3, rendering it ineligible for further review or evaluation. Resolved (2016.03.03.01), the Board authorizes the President and CEO, or his designee(s), to proceed with the delegation of .AFRICA to be operated by ZACR pursuant to the Registry Agreement that ZACR has entered with ICANN. All members of the Board present voted in favor of Resolution 2016.03.03.01. Two members of the Board were unavailable to vote on the Resolution. The Resolution carried." --Preliminary Report | Regular Meeting of the ICANN Board 03 Mar 2016 (emphasis added). The long drawn-out saga of ICANN's new gTLD .AFRICA and applicant DotConnectAfrica Trust (domain name: dotconnectafrica.org), may be (with emphasis on "may") coming to end, at least as far as being able to proceed with delegation of the new gTLD .AFRICA to be operated by ZACR. Two weeks from now, on April 4, 2016, there will be a hearing in Los Angeles Federal Court on DotConnectAfrica's Motion for Preliminary Injunction to stop ICANN from further proceeding with delegation of the new gTLD .AFRICA. DotConnectAfrica Trust is an unsuccessful applicant for the new gTLD, but successfully challenged ICANN and its process in awarding the new gTLD through a precedent-setting IRP (Independent Review Proceeding)--the IRP documents are available on the ICANN website here: DCA Trust v. ICANN (.AFRICA) [IRP]. Following issuance of the IRP Final Declaration on, July 9, 2015, there were complaints of misconduct about ICANN, its officers, staff, and Board of Directors, and others, including claims that ICANN's redactions from the Final Declaration, were an attempt to cover-up the misconduct -- see: former ICANN staffer Keiren McCarthy's series of articles in The Register: Unredacted: ICANN's hidden role in fierce battle over .Africa rights and Having been slammed and embarrassed, ICANN tells the world: We've done nowt wrong and ICANN further implicated in .Africa controversy. See also on DomainMondo.com: ICANN dot AFRICA IRP: WHO Redacted WHAT In the Final Declaration? and DCA Trust IRP Decision: ICANN Failed the Global Internet Community. You won't find any mention of DCA Trust, DotConnectAfrica, or new gTLD .AFRICA in former ICANN CEO Fadi Chehade's recent "Farewell Letter" (pdf), to the ICANN Board, though there should have been since all of the alleged misconduct occurred "on his watch" as ICANN CEO, and there are many lessons to be learned about ICANN's propensity for "insider dealing," favoritism, conflicts of interest, and other conduct unbecoming of ICANN directors, officers, and staff illuminated in the DCA Trust IRP case. As Kieren McCarthy reported last July: "To date, ICANN's board has not made a statement about the appropriateness of its actions or those of its staff. Nor has it suggested an investigation or other review into the activities highlighted in the review panel's final report." This must be why ICANN wasted $106,000 on Fadi Chehade's Tribute party in Marrakech! Whatever happened to ethical leadership? This post will be updated when the Court has ruled following the hearing on April 4th. The case has also been set for a scheduling conference on June 6, 2016, at 09:00 AM. All litigation documents filed in this matter are available on the ICANN website. 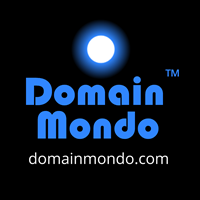 See also on Domain Mondo: US Federal Court Enjoins ICANN From Delegating New gTLD dot AFRICA (March 5, 2016). Domain Mondo's review of the past week and look ahead to the coming week [pdf of this post here]: The IANA transition and ICANN accountability proposal is currently being assessed by the U.S. Department of Commerce's NTIA, while implementation work proceeds within ICANN and Cross-Community Working Groups. "As NTIA embarks on its work, I want to reiterate what I have been saying throughout this entire process. This IANA transition is far too important to be rushed by any artificial deadline. Much work still remains, and if needed, NTIA should take the steps to extend the contract. It is more important to get this done right, than to simply get it done. Lastly, while we await the analysis of the proposal from NTIA, it is important to stress the important role that Congress plays during this process. The bipartisan work reflected in the DOTCOM Act maintains our oversight authority to ensure the requirements of a transition established by NTIA are met by the proposal." --Chairman Greg Walden, March 17, 2016, Opening Statement - Communications and Technology Subcommittee Hearing “Privatizing the Internet Assigned Number Authority” (emphasis added). "... no consensus was reached about the proper role of the Governmental Advisory Committee (GAC) ... it is key that any amendments to the ICANN bylaws be carefully crafted ... This may be the most critical time of the process..."-- J. Scott Evans, Trademark Director and Associate General Counsel at Adobe, writing in CircleID.com (emphasis added). Congress held an introductory hearing on the IANA stewardship transition proposal (IANA transition + ICANN Accountability WS1) on Thursday. Witnesses were a select group of participants from the ICANN community in support of the Proposal. Issues raised included questions about timing for implementation--can this all be accomplished prior to September 30, 2016? The witnesses all testified "yes" even though in reality the Cross Community Working Groups have missed every deadline in this whole process thus far. "... there is always the possibility that Congress--both Democrats and Republicans--will realize it is in the best interests of not only the American people, but also the global internet community, to insist upon the completion and implementation and a subsequent evaluation of both Work Stream 1 (WS1) and Work Stream 2 (WS2) accountability mechanisms, and whether they are actually effective and working, and then decide whether ending U.S. oversight is appropriate and in the best interests of both the American people and the global internet community." Why would Congress be concerned about the global internet community? Because the U.S. government is ceding its role as steward of the global internet to ICANN: "No government owns or controls the root level of the Internet. Nor does ICANN or any other single entity .... In effect, ICANN serves as a trustee of the Internet’s unique names and numbers in service to all Internet users." --source: Weinstein et al v Iran and ICANN - U.S. Amicus Curiae Brief (pdf). Although NTIA said in its March, 2014, announcement, it was transitioning its stewardship role to the global multistakeholder community, in reality, this whole process has been about NTIA transitioning its stewardship role to ICANN, the California corporation. Note that sole control of the Internet root zone will soon be ICANN's alone--ICANN is currently drafting a new contract for Verisign, the current Root Zone Maintainer (RZM), that will allow ICANN to make changes in the future, including taking over that additional role itself. That is an unprecedented concentration of power that NTIA is proposing to give to ICANN, the California corporation, in perpetuity. Why shouldn't the operators of the ccTLDs (ccNSO), and gTLDs (Registries Stakeholder Group), as well as the Root Name Server Operators (there are 12 including Verisign and ICANN), the IETF and RIRs, select the Root Zone Maintainer (RZM)? What happens, if and when, the "community" decides to change the IANA functions operator (IFO) from ICANN (or its PTI), to a new third party, only to discover that ICANN, in its new future role as Root Zone Maintainer, is now blocking or overwriting the work of the new IFO? Note also that ICANN has been aggressively expanding the number of its L Root Server sites, which according to this map now total 143 globally, far exceeding the number of sites of any other Root Server Operator which range from only 1 (ISI "B") to 109 (Verisign "A"+"J"). Whether or not it is ICANN's intention (now or in the future) to not only replace Verisign as Root Zone Maintainer, but also become sole operator of the Internet's root servers, once this transition is completed, ICANN will have that capability, thanks to the Obama administration, the bureaucrats at NTIA, a complacent and compliant Congress, and this flawed IANA Transition process. Recall that this whole process started with the NTIA announcement in March, 2014, which only covered U.S. oversight of the IANA functions via the IANA contract. At that time, ICANN directors and officers were confident that a proposal could be delivered within a year, obviating any need to extend the IANA contract beyond September 30, 2015. In the summer of 2014, at the insistence of the "ICANN community," ICANN accountability was added as a separate, but equal, component of the whole IANA transition process. Today, ICANN accountability issues are the sticking points in the whole process. In comparison, the elimination of the U.S. government role in the IANA functions is a piece of cake, after all, the IANA functions used to be run by just one person, Jon Postel (see this pdf, p.5), and, as testified this week before Congress, the IANA functions are clerical in nature, not "rocket science." The New York Times March 18, 2012: "A boardroom dispute over ethics has broken out at the organization that maintains the Internet address system after its most important supporter, the United States government, reproached the group for governance standards said to fall short of “requirements requested by the global community.”..."
Part of the systemic and continuing problems at ICANN is the failure of both ICANN, and the "ICANN community," to understand their respective roles and responsibilities. ICANN is not an example of a multistakeholder-run organization and never has been. ICANN is an example of a California non-profit corporation controlled by a Board of Directors that have legal fiduciary duties including the duty to act in the global public interest, albeit in an environment where various designated stakeholder groups have policy-making roles, and some of those groups have a right to elect some of the corporation's directors. This leads to tensions, e.g., when special interests, such as the domain name industry, dominate and control the GNSO and advocate for policies that may not be in the global public interest, or disagree with other Board decisions. While bringing the Advisory Committees, particularly ALAC and GAC, into the "empowered community" may improve ICANN, the CCWG-Accountability, unfortunately, completely neglected issues concerning selection and qualification of ICANN Directors, other than removal. This is tragic because so many of the problems at ICANN stem from a Board of Directors whose members appear to be passive, or lacking in an understanding of their important and vital legal role within ICANN's corporate governance structure, or their fiduciary duty to the global internet community. In particular, the failure of the ICANN Board of Directors to hold ICANN officers and staff accountable, has been striking. Just one example (of many): Why would any competent ICANN director allow an ICANN President to spend his, and ICANN staff time, and hundreds of thousands of dollars in ICANN funds, to establish and bankroll organization(s) outside the scope of ICANN's mission? For more see: ICANN President & CEO Fadi Chehade's Last Letter to Dilma Rousseff. Zuck: "The [multistakeholder] process is an ugly process ... the fact that everyone is dissatisfied with this [IANA Transition & ICANN Accountability] proposal is a testament to its success ... there is no one that is happy with everything in this proposal"
Sheckler: "The Devil is in the Details"